At City Base Dental Care, we are especially interested in making all our patients feel right at home! We put your needs first to achieve efficient and comprehensive treatment. Our staff is trained and skilled, and we strive to provide energetic and fun-loving service to each patient. Each member of our treatment team is a registered assistant, and our office staff has years of experience in treating patients with the highest level of care. We strive to stay abreast of the latest in technological advances by regularly attending continuing education courses and seminars. 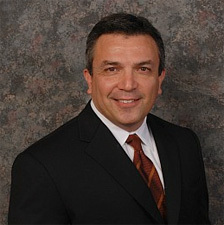 Dr. Jorge A. Guel has been delivering outstanding dental care since 1987. After graduating from San Antonio Highlands High School, he completed his undergraduate education at St. Mary’s University. He then earned his dental degree at the University of Texas Dental School. Dr. Guel’s entire team is dedicated to maintaining a reputation of excellence in dental care. After accepting a job from my dentist as a Business Assistant in 1999, I fell in love with dentistry. I knew that this was my calling and pursued my education as a dental Hygienist. Through the support and love of my family, I am now doing what I love. I am a 2006 graduate from The University of Texas Health Science Center in San Antonio. As a member of Dr. Guel’s team, it is my goal to be an oral health educator and a clinician who provides preventative, educational and therapeutic services supporting our patient’s total health, for the control of oral diseases and to promote oral health. Who would have thought that it actually takes more than two minutes? I’m excited to work in the dental field and especially enjoy seeing the boost of confidence a great smile provides. I was accepted into the Dental Hygiene Bachelor’s Degree Program at The University of Texas Health Science Center in San Antonio. I graduated from the dental program in 2008 and was chosen Outstanding Clinician of the Year by the school’s faculty. I joined Dr. Guel’s team in 2008 and have loved every minute. Dr. Guel provides the latest and most advanced education and technology so that we can give premium dental care to all patients, both young and adult. My goal for every patient is to provide skilled, gentle care with a positive attitude and compassion. I want to show patients how to properly care for their smiles while offering a pleasant dental experience. I believe everyone deserves to have a great smile!